Opt for Audi's bevy of driver assistance technologies and all the available MMI infotainment system features as they really improve your daily experience with the Audi S7. One of the most beautiful cars on the road today, the 2017 Audi S7 packs serious performance, abundant high-tech features, and more utility than the S6 sedan on which it is based. The 2017 Audi S7 is a high-performance, luxury hatchback. A higher-performance version, called the RS 7, is sold alongside the S7. Nearly identical to the Audi S6 sedan underneath, the S7's skin sets it apart. The S6 sedan's bones give it great on-road manners, high-quality luxury amenities, and plenty of technology, but the fastback profile gives the S7 more area for cargo and more beautiful. It's a win-win, really. Style, sophistication, and speed—the 2017 S7 has all three in abundance. One of the most beautiful cars on the road today, styling is highlighted by a gracefully arched roofline, a fastback rear, and a muscularly flared fenders. The nose features sinister-looking headlights with LED accents and a version of Audi's distinctive “singleframe” grille with a chromed treatment that can be traded for gloss black. LED taillights are found at the rear, along with trapezoidal exhaust outlets and a honeycomb mesh insert in the rear bumper. Inside, the S7 retains the same elegance and opulence of the A7, with soft hides, quality plastic and metals, and a top-notch fit and finish that is among the best in the industry. 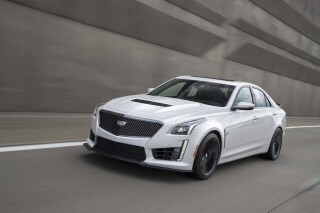 Under the hood, a 4.0-liter twin-turbocharged V-8 generates 450 horsepower and 406 pound-feet of torque. RS 7 models use higher-performance versions of the same engine. In base tune, it makes 560 hp and 516 lb-ft of torque. 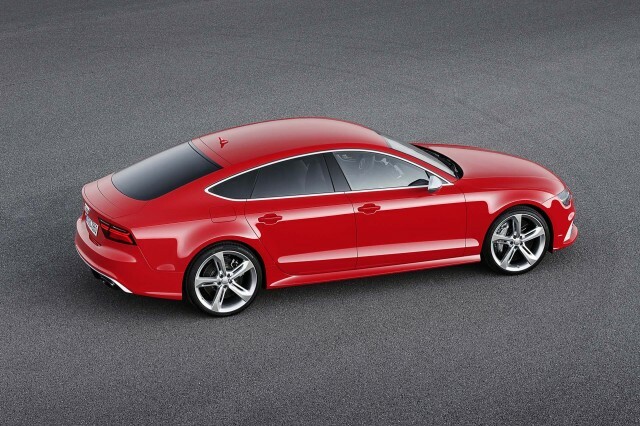 In the RS 7 Performance model, it spins out 605 hp and 553 lb-ft of torque. To get that extra power, Audi engineers changed out the exhaust valves, tweaked the inner geometry of the turbochargers, and dialed up the boost pressure. 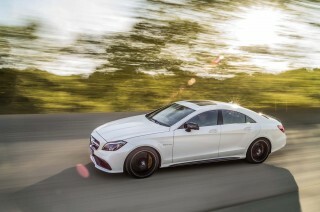 A 7-speed S tronic dual-clutch transmission handles the gear-shifting duties. 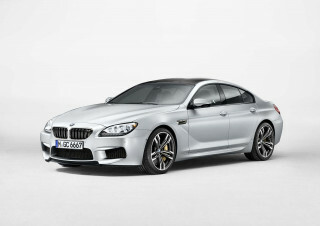 At speed, the S7 clicks off shifts with speed and confidence, but manages smooth takeoffs when driven more leisurely. The S7 sprints up to 60 mph in just 4.3 seconds, and on the roads it feels like the S7's copious thrust is available at any time, at any speed, in any gear. The RS 7 is even more of a monster, though its engine is docile around town, emitting a classy, low rumble. Stab the throttle, though, and the engine roars to life, delivering a thrust of acceleration that rocks you back in your seat and starts to make the surroundings blur. To tap into overboost—anything over 516 lb-ft of torque—you need to select the transmission's manual mode or choose the drive mode selector's Dynamic setting, then mash the throttle. Do that from a stop, and the quattro system hooks up, and 0 to 60 mph arrives in just 3.6 seconds. Handling is about what you’d expect of a large, comfortable, luxurious sedan: very good, but not razor sharp. The steering, like the A6, can feel a little disconnected and numb in feedback. Regardless, the S7 has superlative grip and handles its weight very well through available adaptive dampers. Push it hard and the S7 responds appropriately, but the 4,500-pound curb weight becomes evident. The S7 pushes its nose into corners without much rotating, and struggles to gather its weight before the next corner. The S7 and RS 7 are great street cars, and they will even do well in the canyons, but they aren't made for track duty. Whether tangling with a twisting stretch of road or cruising down the autobahn, the Audi S7 is a comfortable place to be, in both in front and in back. Rear seat passengers may have to cope with the sloping roof line, but the headliner has been scalloped to make the most of available space. It’s not all about performance. These cars are Audis, so it’s also about the latest technology. Audi's Multi-Media Interface (MMI) infotainment system is based around the Nvidia Tegra 30 processor, making it quick to react to inputs. It can display full Google Earth data on the center screen, and even relay that information to a secondary display in the instrument panel, along with driving directions, vehicle information, and more. The MMI system also comes with 4G LTE connectivity and wi-fi hotspot functionality. MMI is at the forefront of the in-car infotainment field. Other available technological extras include driver assist systems such as enhanced night vision, adaptive cruise control with stop-and-go, blind-spot monitors, lane-keeping assist, and pre-sense braking. A head-up display is also available. Neither the IIHS nor the NHTSA have crash tested the S7, nor its structurally identical A7 doppelgänger. However, the very similar A6 has been crash-tested, and earned top marks from both agencies. With a very similar structure and plenty of available safety features, the 2017 Audi S7 should inspire a high degree of confidence in any owner. The changes for 2017 are highlighted by more standard equipment and a new trim level. The S7 comes as a base model and a new Performance Plus model. The RS 7 is offered in Prestige and Performance models. Newly standard are an Audi smartphone interface, a Bose surround sound audio system, and 5-spoke 19-inch wheels. 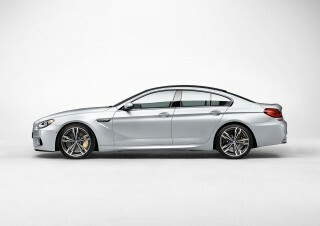 Also offered are new 20- and 21-inch wheels, and red calipers with the available S7 Sport package. The 2017 S7 earned 17 mpg city, 27 highway, 21 combined ratings from the EPA, while the RS 7 was rated at 15/25/18 mpg.